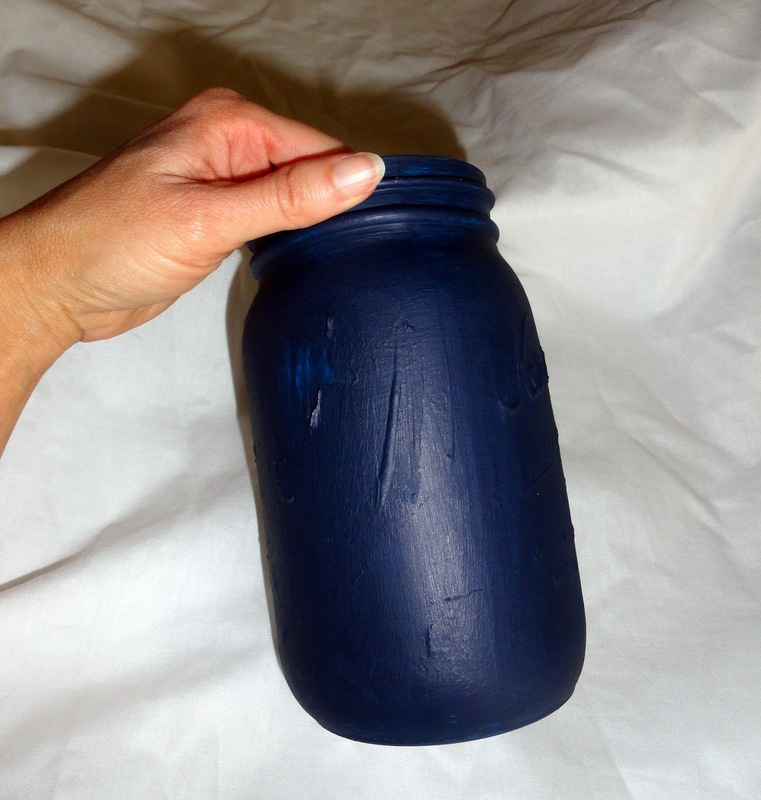 I am attracted to mason jars like a moth to a flame. I have quite the collection of jars and needed to start coming up with projects to do with them besides canning. 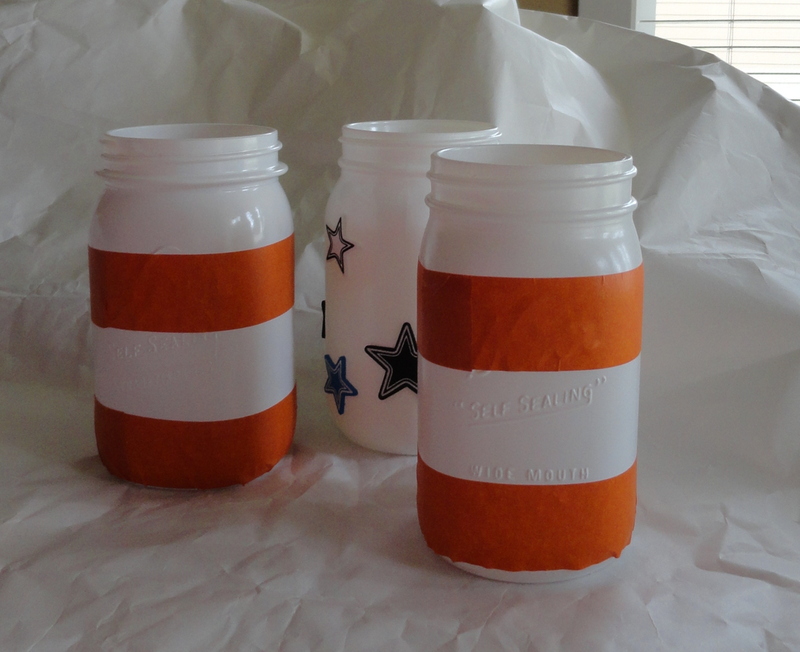 this is my version of the painted flag mason jars. 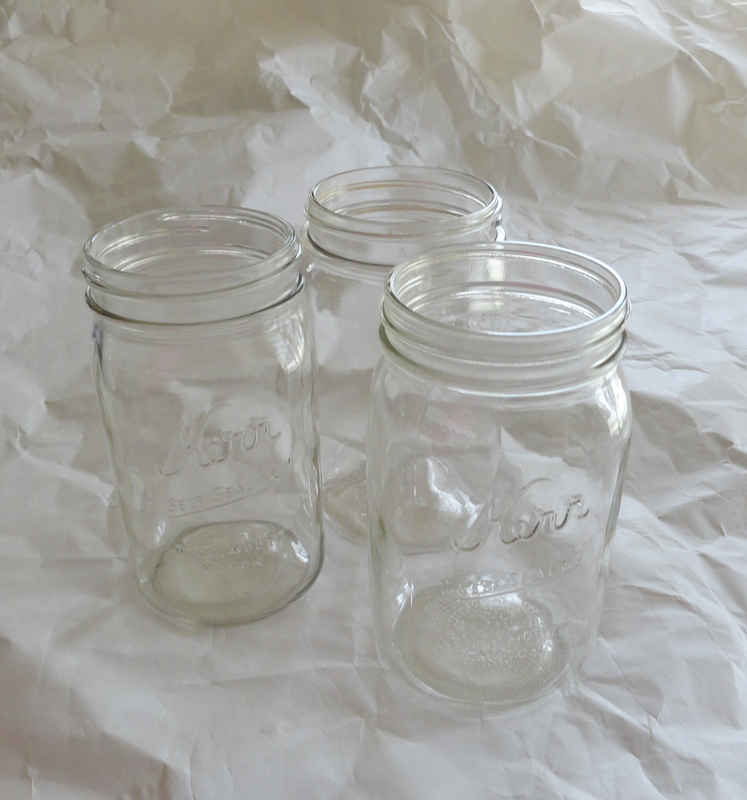 I started by finding three of the same sized mason jars in my collection. 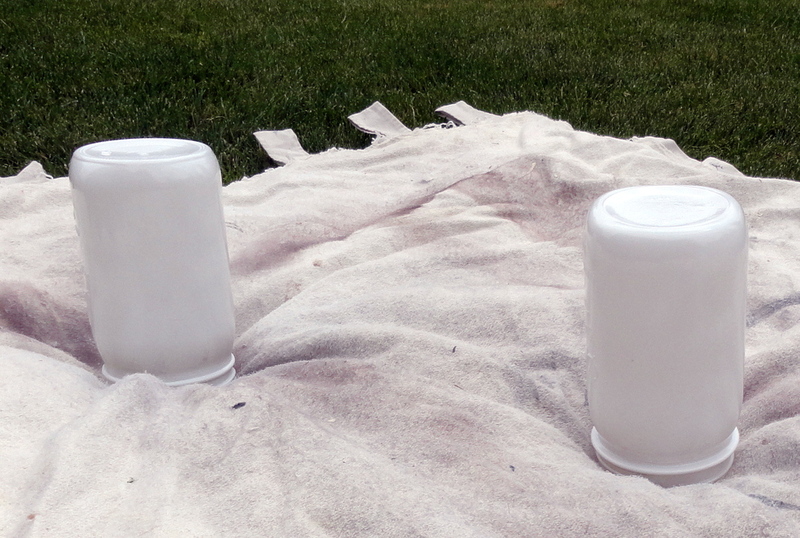 I spray painted them white and was actually quite impressed with how well the spray paint adhered to the jars. 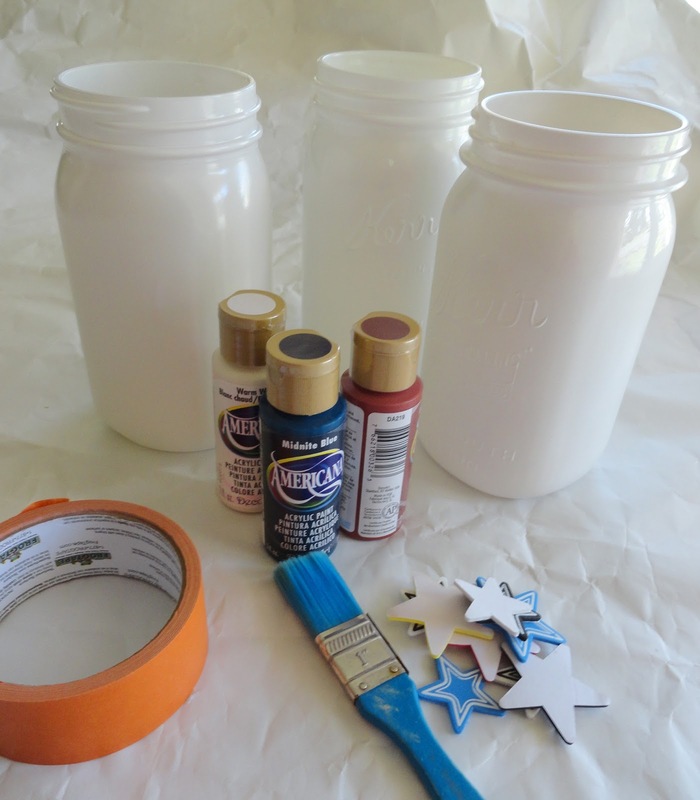 Keep your eyes peeled, there may be more spray painted mason jar projects. These are the supplies I used in this project. I wouldn't recommend the foam star stickers that I used. They didn't peel off the jars well, though I have read other tutorials where they had great luck with stickers as a stencil. I used American acrylic paint and frog tape to make shape crisp lines. You will need a paint brush for a painting project. If you are using stickers, this is when you put them on. Again, my garage sale free box stickers did not work for me. Maybe stay away from the foam kind? 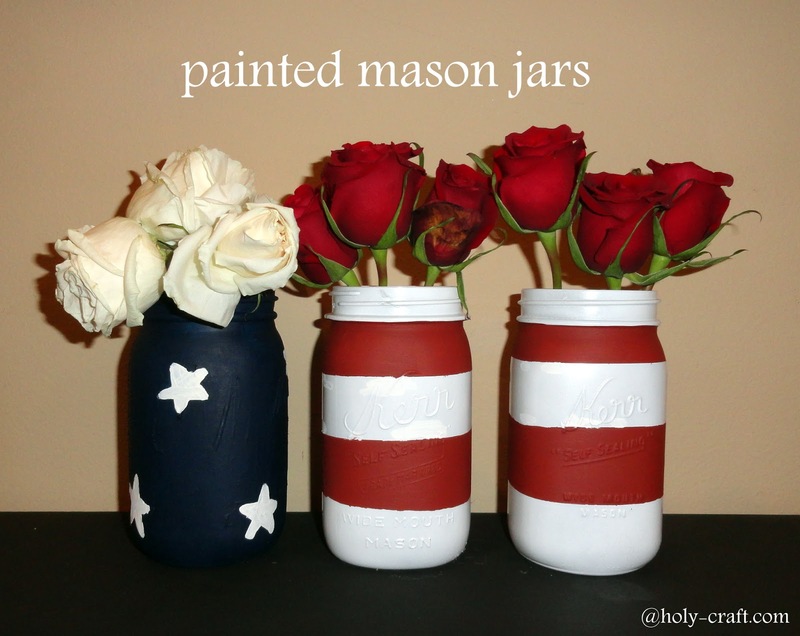 It's self explanatory, but paint your jars. I used about twenty three coats of blue. I literally left the project out on my counter and came back to it every five minutes between cleaning and errands. Super fun, right? Which is why I am thinking there will be more spray painting projects in my near future. 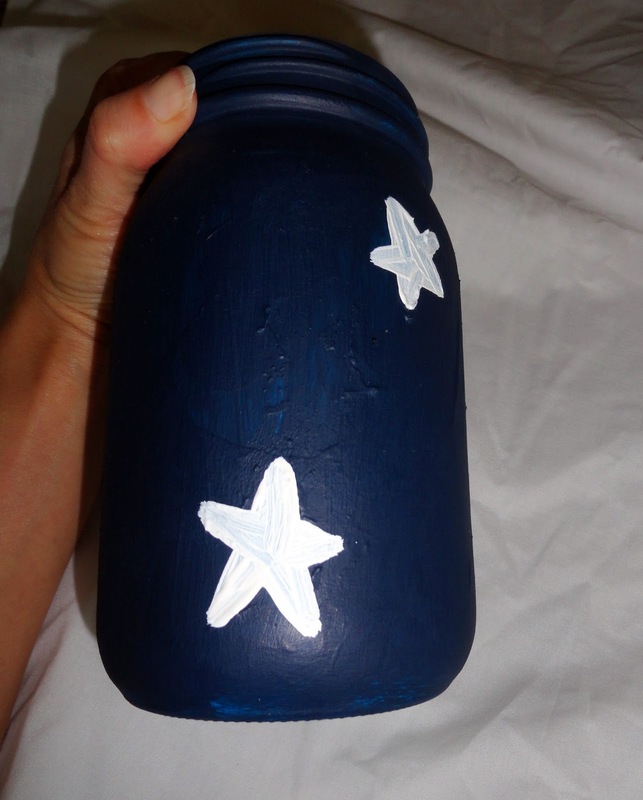 I hand painted stars on my jar. Fill your jars with half dead flowers from your anniversary a week ago and you are set! but hey, I used what I had. I think these would be great at a BBQ holding silverware, or as a table centerpiece with flowers. Fresh flowers. Be classy...unlike me. 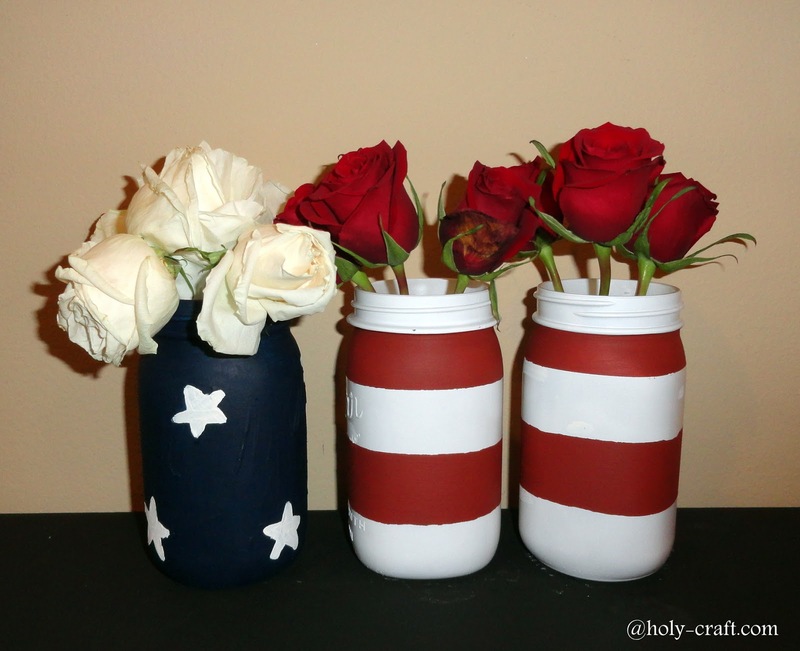 So cool, I really like the flag idea, I will be paining jars this week. Thanks!